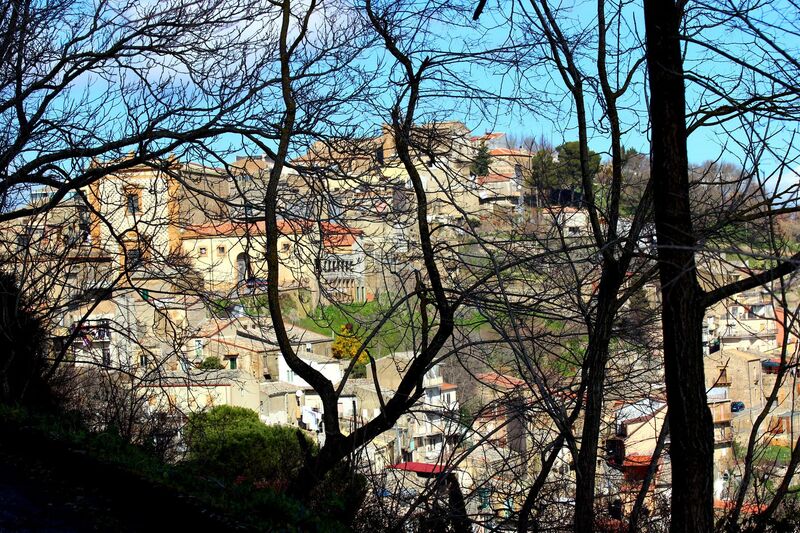 The city of Aidone is located about 35 km south of Enna in a hilly area of the Erei Mountains. 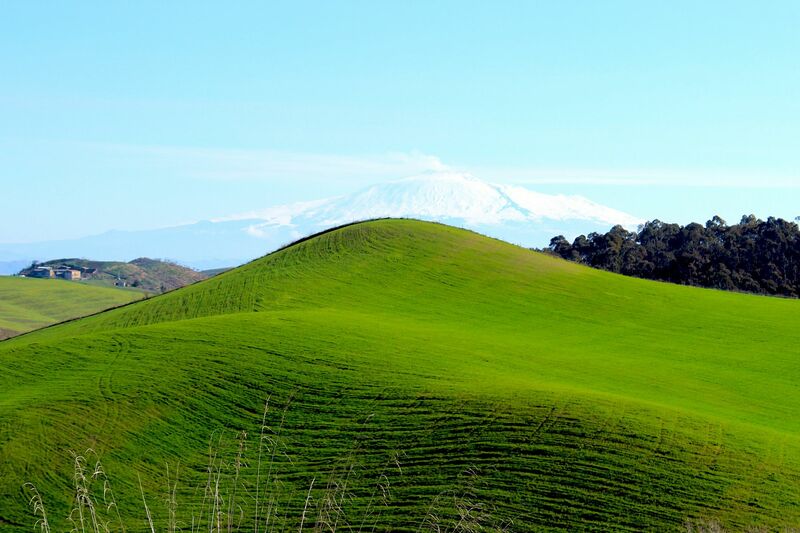 Nestled on a top of the hill at about 800 meters above the sea level, surrounded by mountains, plains, rivers and forests, with majestic Etna at the horizon, Aidone seems to be in the center of the Nature’s Paradise. The origins of the city probably date to 11th-12th century although there is no any clear evidence from that time. Similarly “fuzzy” is the etymology of the name Aidone. Some claim it has Greek roots coming from “Aedon-donos” (meaning “nightingale”), others see it coming from Arabic “Ayn-dun” (meaning “high water source”), and the third version see it derived from a German name Aido-onis (Norman influence). Honestly – each version has some rationale behind it so the origins of the name “Aidone” may stay the subject of endless discussions of scholars. That is why I would rather propose to close the “open” issue and enjoy your presence in the city as well as its beautifully melodic name regardless where from it comes….. In 1693, the terrible earthquake that leveled major part of the eastern Sicily took also down Aidone. Subsequent reconstruction gave the city Sicilian-Baroque style so clearly visible today on the streets. Most likely Aidone wouldn’t gain these days any particular interest if not its close “relationship” with the “lost city of Morgantina” that once upon the time flourished in this part of the island. Probably inhabited already by Sicans, Morgantina emerged as an important commercial center during the colonization of the island by Greeks. The city dominated vast agricultural areas of central Sicily. Abundance of grains (and in general food) led to strong commercial exchanges with other city-states contributing to Morgantina’s economic strength. 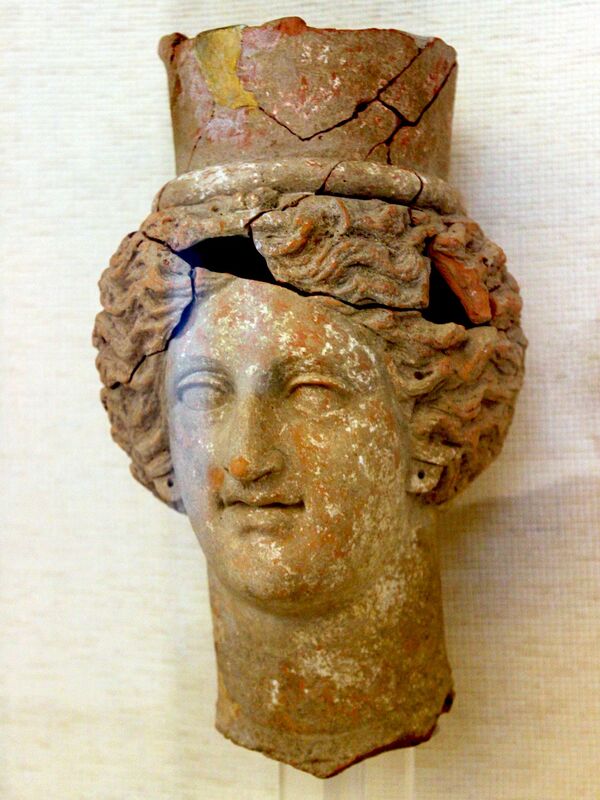 Fortunes of Morgantina were very closely related to harvests, so not surprisingly the city (similarly as Enna) became the center of worship of Greek deities Demeter and her daughter Persephone. 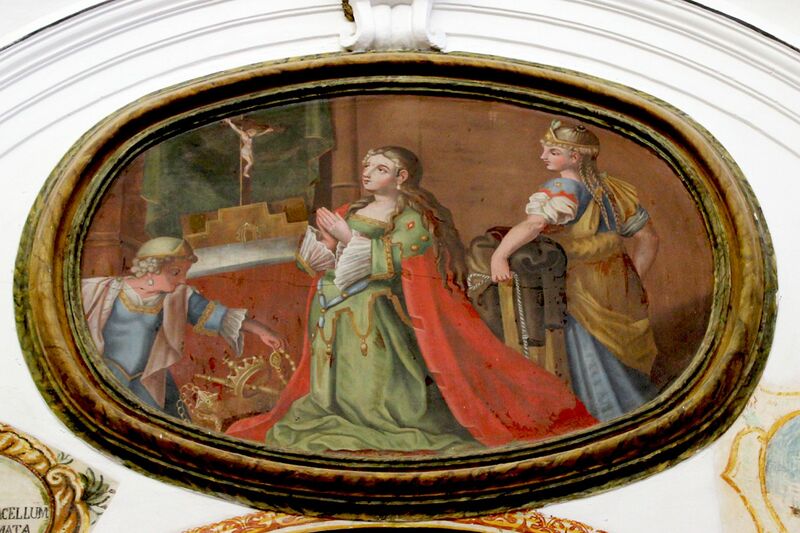 In fact both of them - Demeter as the goddess of harvest and fertility and Persephone kicking-off the season of spring by emerging from the waters of nearby Lake Pergusa were crucial for the “well-being” of human race. While most likely it took few centuries for Morgantina to reach its dominant position, the city collapsed in almost “no-time”. Sadly for its own destiny, in 1st century BC Morgantina took “wrong side” in a conflict involving the Roman Imperium. As the result of this miscalculation (let’s call it - “lack of political vision”) the city was leveled at the orders of the Roman Emperor Octavian…..
For two long millennia Morgantina or rather what was left from this high-flying commercial and religious center, literally disappeared from the surface covered under layers of fertile soil and canopy of trees. Only in 1950’s the site saw first major archeological works led by teams from Princeton University, University of Virginia and relevant branches of Sicilian Government from Syracuse, Agrigento and Enna. Excavations brought to light a vast rectangular urban area typical of the Greek cities. Visible ruins include large agora with temple, aristocratic residences and regular houses, amphitheater, “Fountain House” (with pools, cistern and water supply system), public baths equipped with individual terracotta bathtubs, big furnace, cobblestone streets .….. The site exposes traces of the large and prosperous urban center that at the time of its apogee was home to some 30,000 inhabitants. 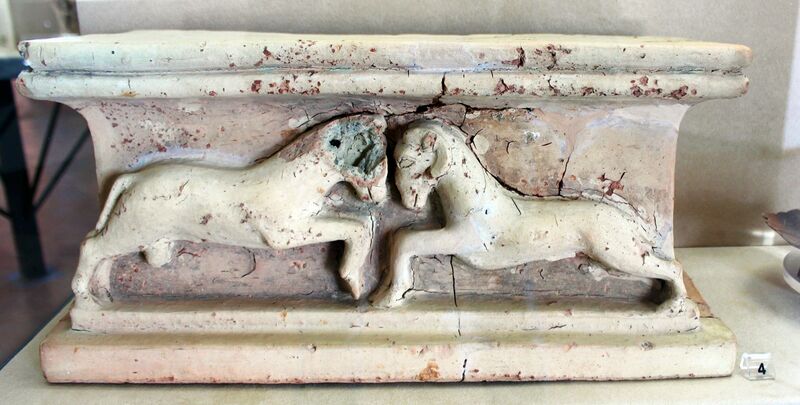 Excavations led by international teams of archeologists unearthed also great numbers of objects of art, pottery, coins…. And here is where Aidone (located just few kilometers away from Morgantina) came to the picture. 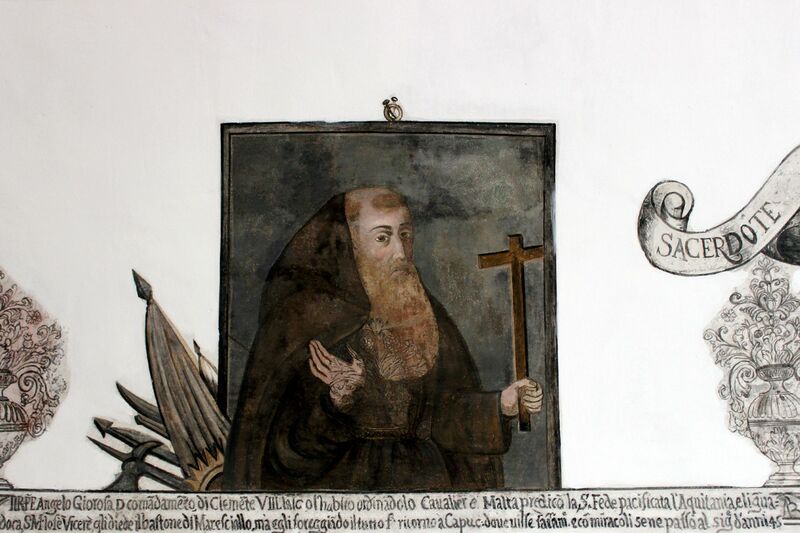 The local government acquired an old, abandoned complex including an early 17th century Convent of Capuchin Fathers and next to it Church of St. Francis with the purpose of converting it into a museum exhibiting the history of Morgantina. Much needed renovations started in 1984 paving the way to bring back to the life (or rather to the public attention) the lost city of Morgantina. 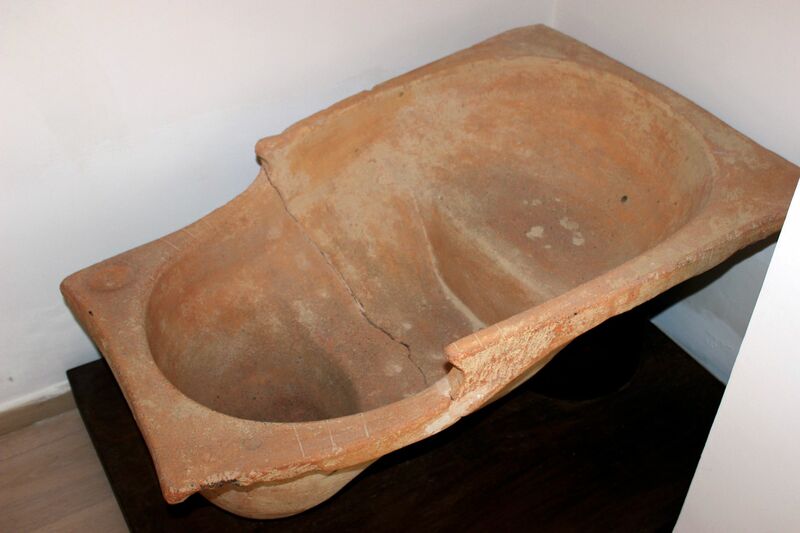 Unfortunately the whole archeological process was marred by scandals; several objects of art found on the site of ancient Morgantina ended up abroad in private hands. 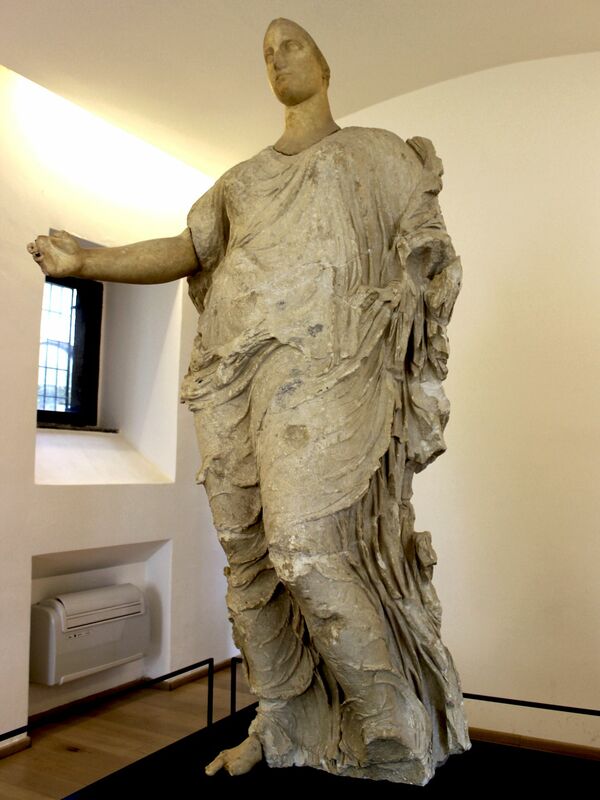 The most stunning was the case of the so-called “Goddess of Morgantina” (erroneously called Aphrodite). 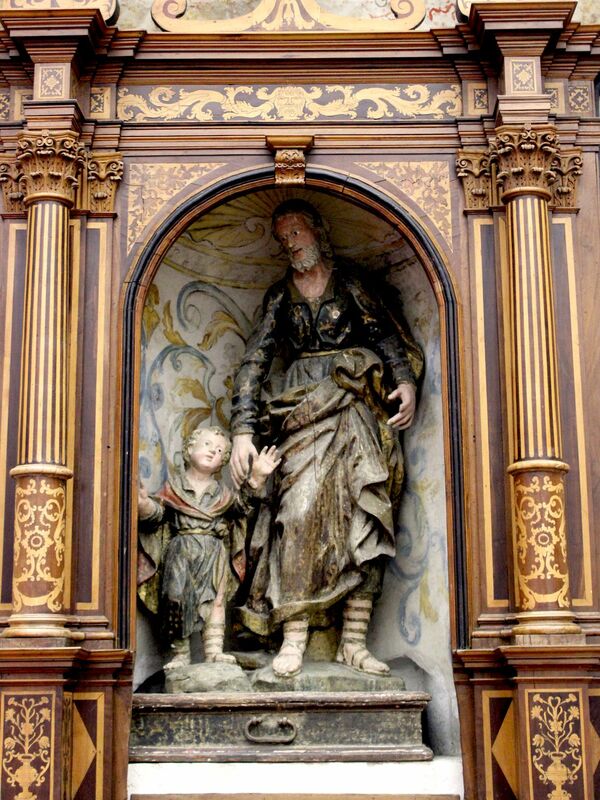 The huge, over life-size statue (approximately 2.2 meters high) was smuggled out of the island to appear in 1984 in Switzerland literally out of “nowhere”. Here, thanks to unscrupulous art dealers the statue gained a “legal status” and then in “majesty of law” was transferred to London from where it was sold to the J. Paul Getty Museum (Malibu – California). 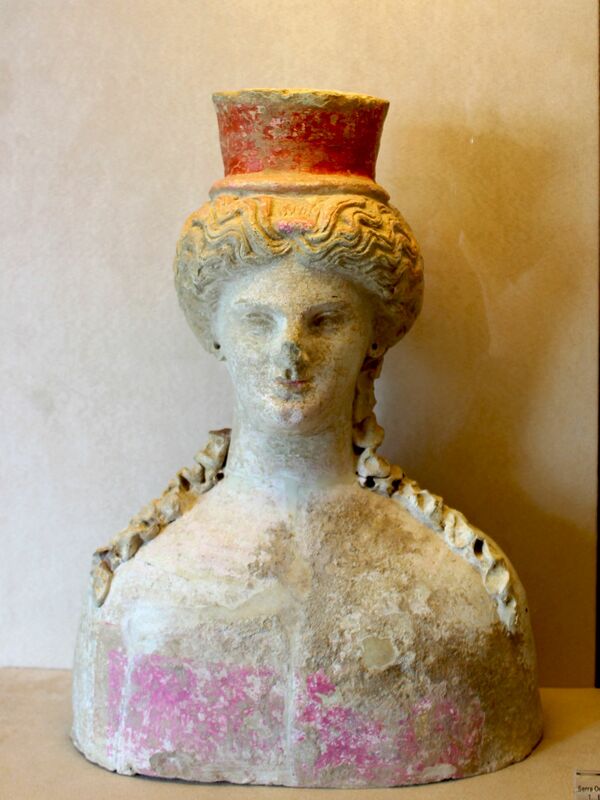 Despite its clearly dubious provenance and lack of supporting documents it took long years of criminal trials followed by negotiations with involvement of both – Italian and American governments as well as pressure of public opinion to bring the Goddess of Morgantina back to where it belongs. The triumphal return to “home” took place in May 2011. Similar destiny followed the famous Treasure of Eupolemos (set of sixteen gilded silver masterpieces of Hellenistic goldsmiths from the 3rd century BC) looted from the archeological site in Morgantina). 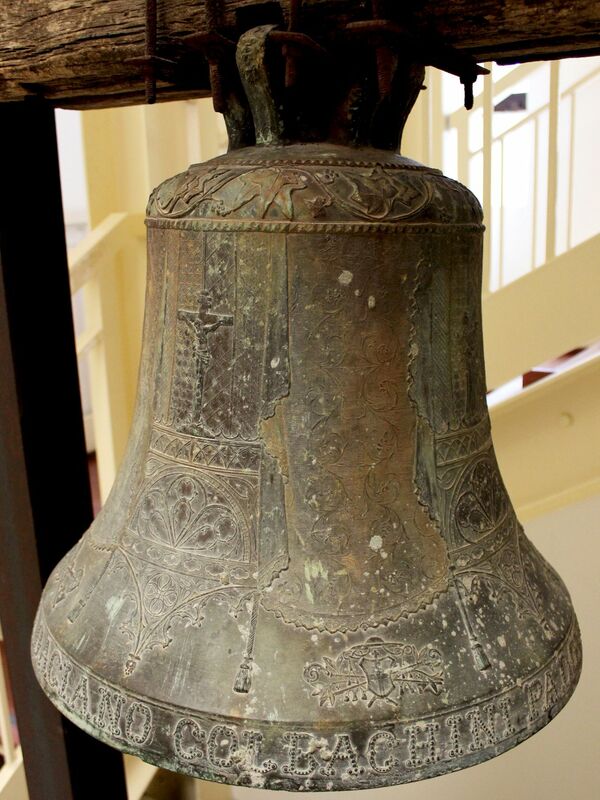 The treasure was initially acquired by NYC’s Metropolitan Museum of Art under false claim that since long the set belonged to a family of “mysterious” collector of antiquities from Beirut. 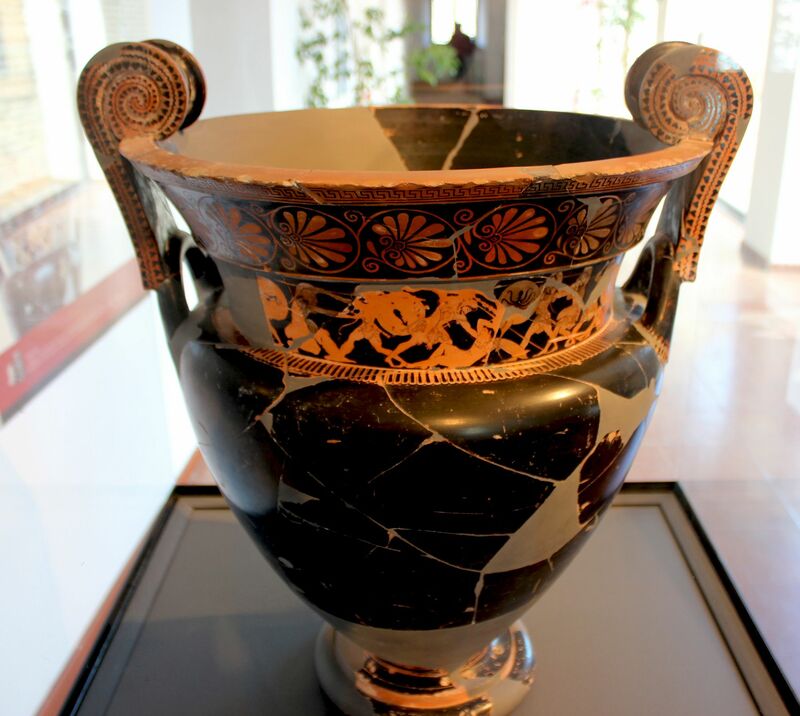 To keep the story short – the Treasure of Eupolemus as well as some other illegally acquired objects of art from Morgantina followed the similar path of “forced” rather than “voluntary” restitutions to Aidone in “no-guilt” deals. 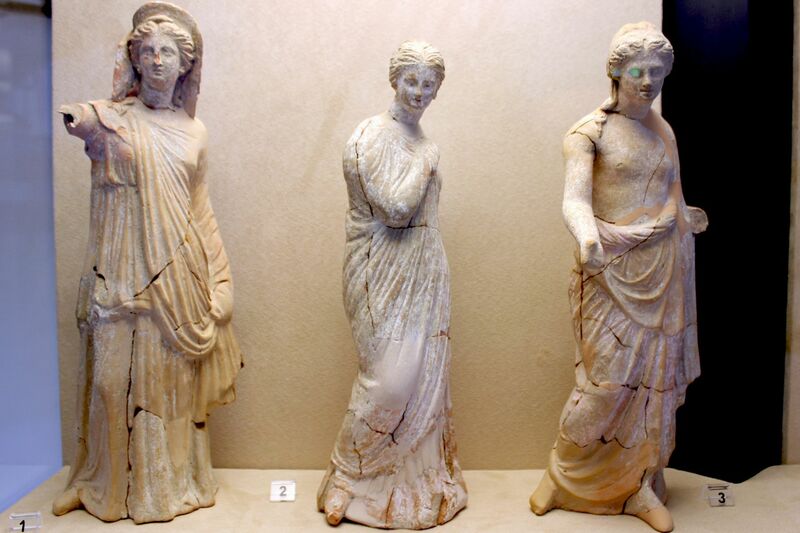 Given the fact that Morgantina (like most of the central Sicily) venerated Demeter and Persephone, scholars seem to agree that the statue of “Goddess of Morgantina” is a personification of one of them (probably Persephone). 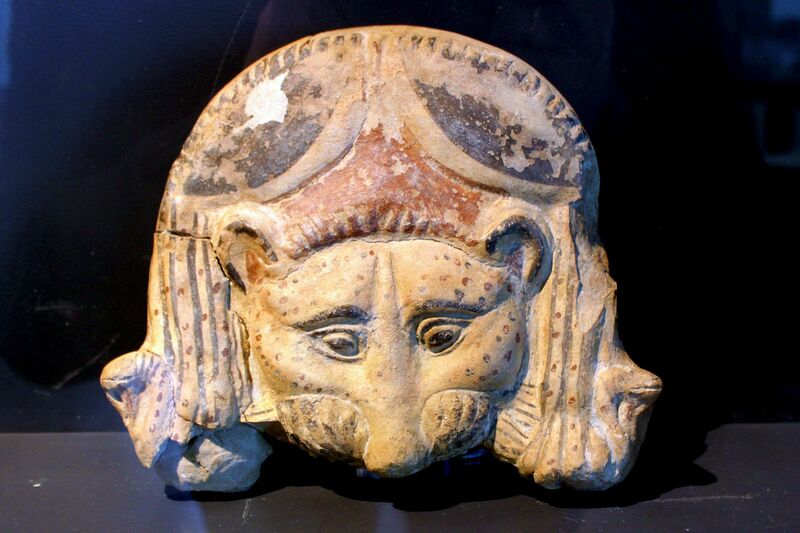 Archeologists dated it to the late 5th century BC and assigned to an unknown sculptor from the famed Phidias’ school. The statue of Persephone is quite different from classical Greek sculptures of those times overwhelmingly expressing deep in their culture fascination with the beauty of human body. Contrary to this prevailing style, the body of Persephone from her neck to the feet is tightly covered by a stylish, shockingly refined drapery. Also the carving technique is unconventional. Known as “acrolithic”, it makes use of different materials for the main body and different ones for “extremities”. In the case of Persephone, her body is carved from Sicilian limestone while head, arms, hands and feet from the Greek marble. BTW – petrographic analysis of limestone proved its local origins (from Ragusa) what greatly helped to win the restitution battle and bring back the looted statue to Sicily. 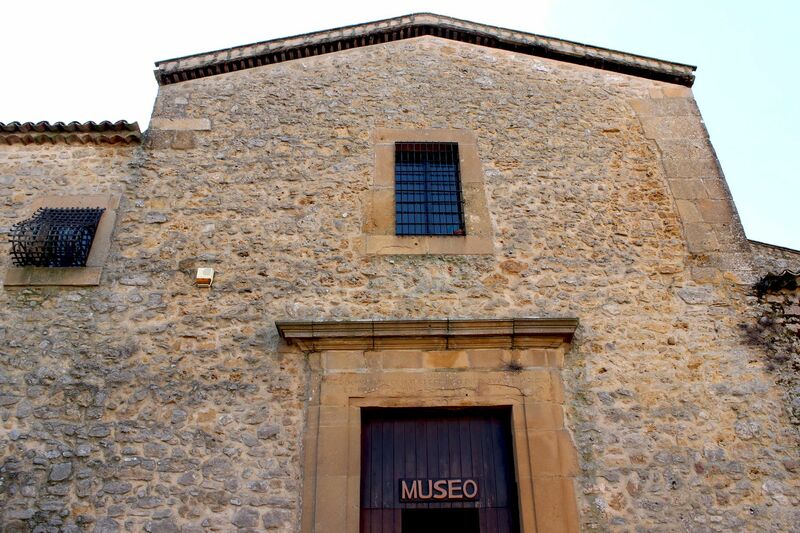 The museum’s exhibition displays findings covering the period from Bronze Age through Greek to Roman Empire skillfully combined with presentation of religious objects of art and devotion from the convent and church. 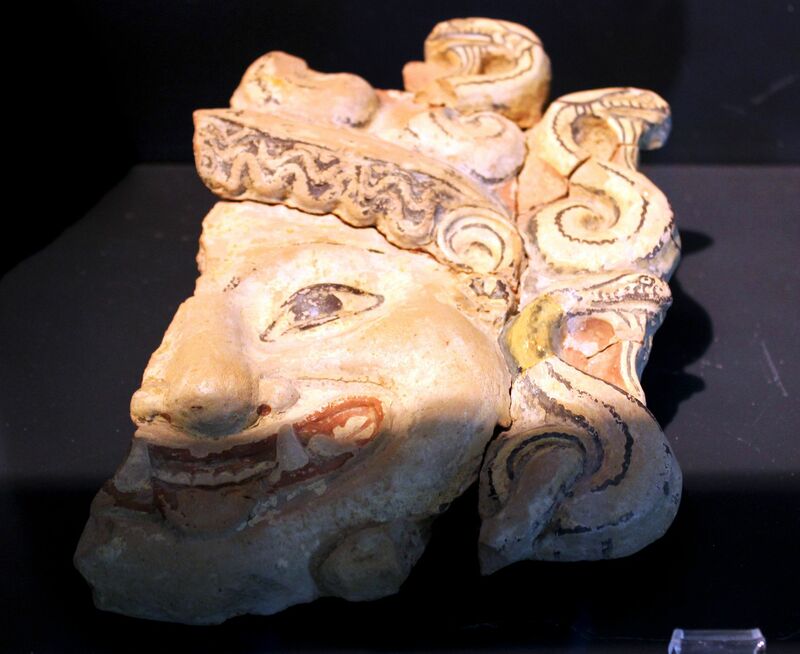 On top of already mentioned objects of art noteworthy are terracotta statues of Greek deities (mainly Demeter and Persephone), Gorgonian masks, fragments of porticos (columns with capitals), terracotta bathtub, home toilette (in form of basin standing on the central column)….. The exhibition includes also several maps of Morgantina and information panels (unfortunately not everything is written in English). 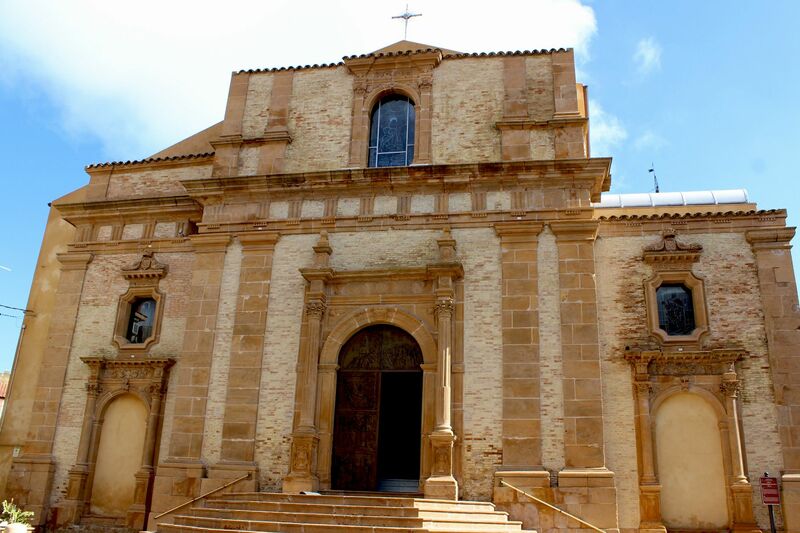 The entrance to the museum opens into the nave of the St. Francis church. While now the nave is converted into a small auditorium hall, it still holds the interior decoration of the former church including a beautiful altar in gilded wood as well as statues and frescoes of saints. 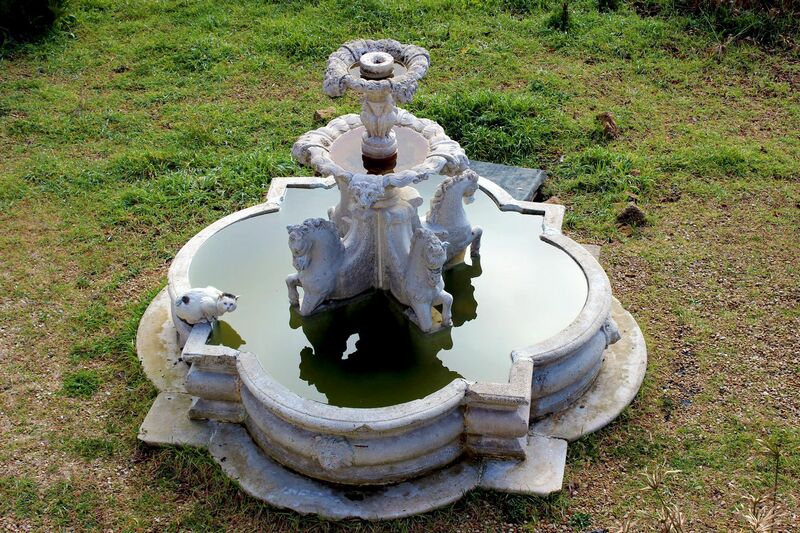 Next to the museum is small municipal garden – back in time probably belonging to the Capuchin Convent. It’s a place not to miss for the stunning views on the mighty Mt. 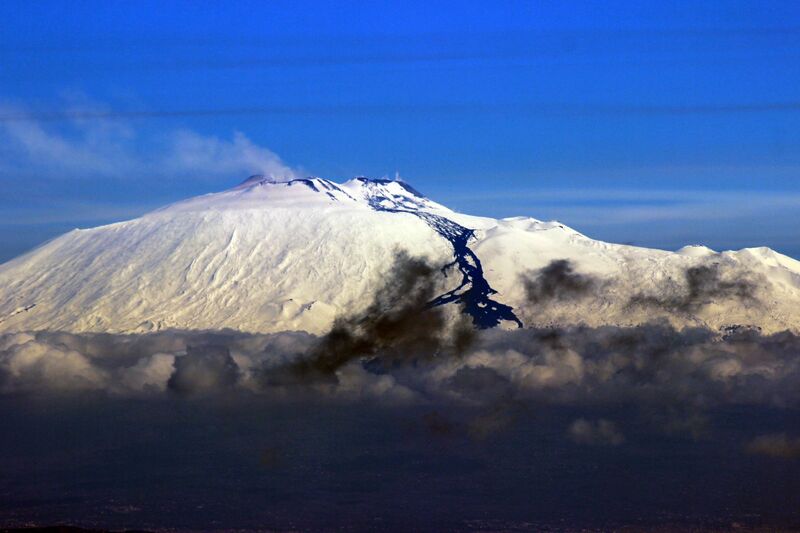 Etna closing the horizon across the valley….. The church was probably founded in 1134 by Adelaide (niece of Norman Count Roger). The only surviving fragments from the original church are apse and side chapel. Its current structure and decorations are from 18th century “post-earthquake” period. 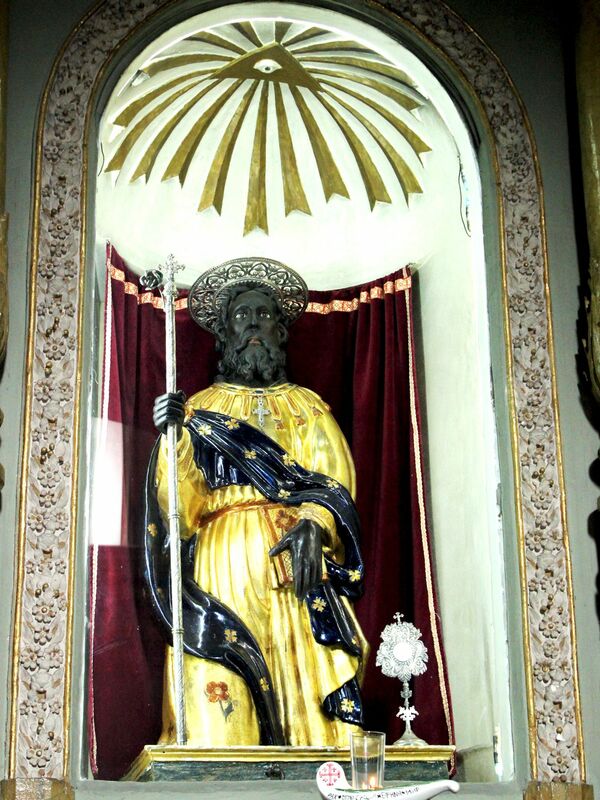 The richly decorated side chapel is dedicated to St. Philip the Apostle known as the “Black Apostle” due to the characteristic dark color of ebony from which the statue was carved. 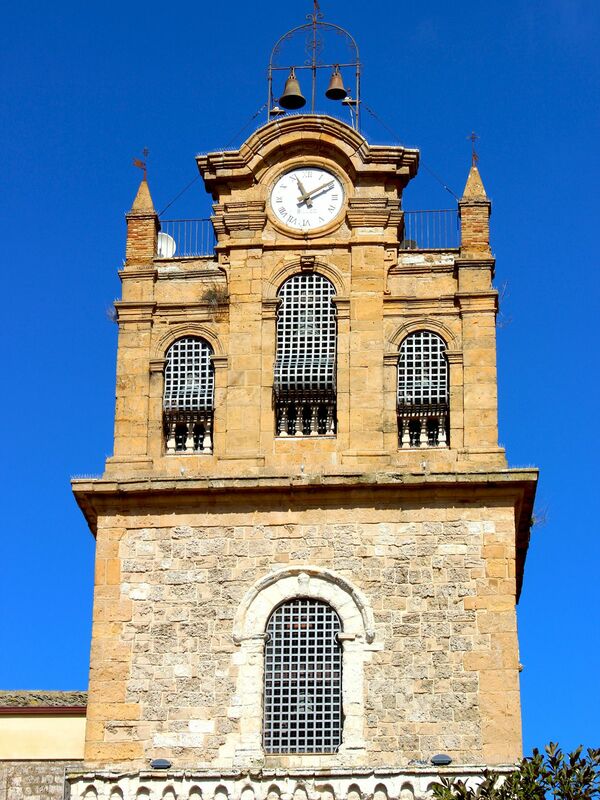 The imposing 11th century bell-tower stands on market square. It has three distinctive levels indicating different phases of construction. The lowest and at the same time oldest level has characteristic Gothic arch (now walled by masonry). The central level represents the Gothic-Catalan style with a single round--arched window from the white limestone. 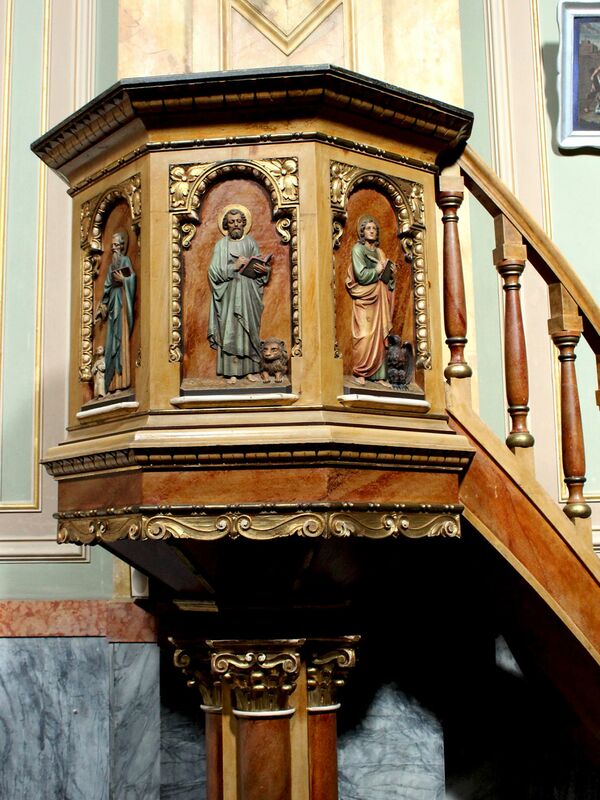 The third level represents the style typical for Sicilian 18th century architecture. It includes three arches with balusters supporting the central clock and bells. When on the square note the monument to Filippo Cordova (1811-1868). 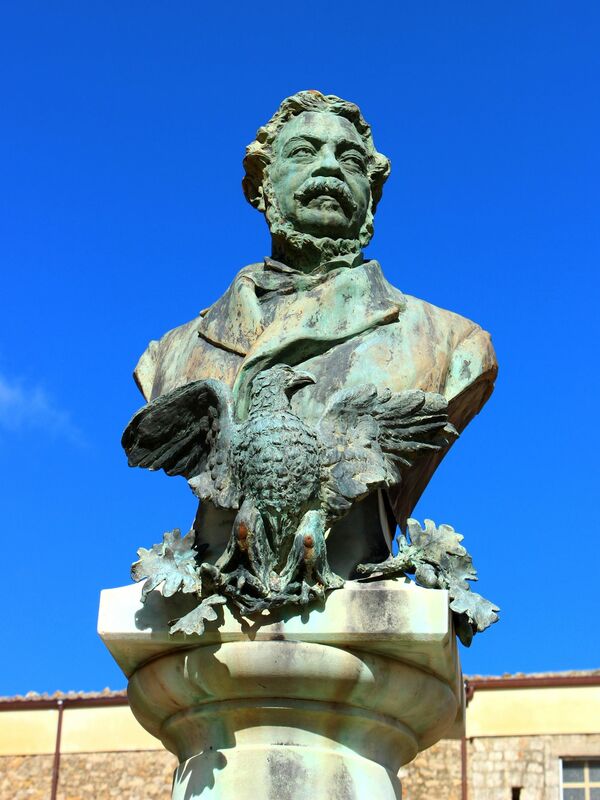 Born in Aidone, he is recognized as one of the most important politicians of Sicily. Castello di Pietratagliata (known also as Castello Gresti). This 10th century castle erected on the top of a rocky ridge served Saracen and Norman masters as a lookout point. 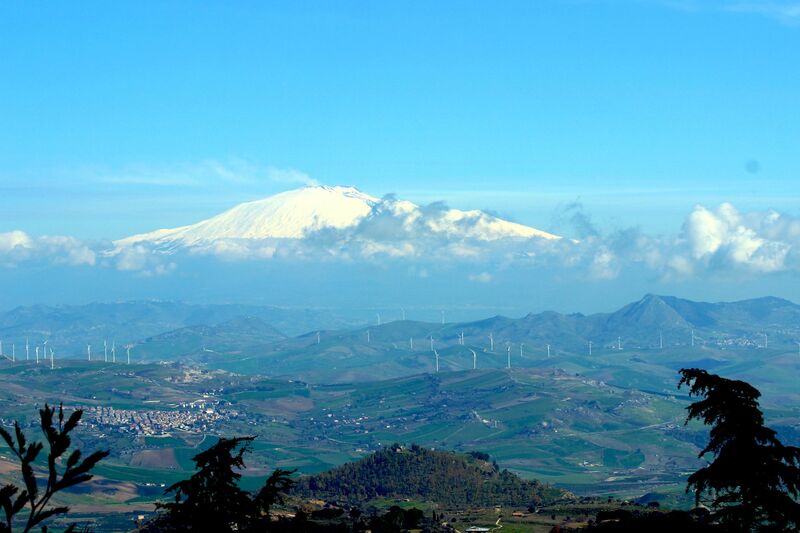 Possibly it was part of a medieval path of “optical message transmission” including several other towers, fortresses and lookout points scattered across hilly landscape of central Sicily. The name Pietratagliata reflects the fact that some of its rooms are cut in the rock. 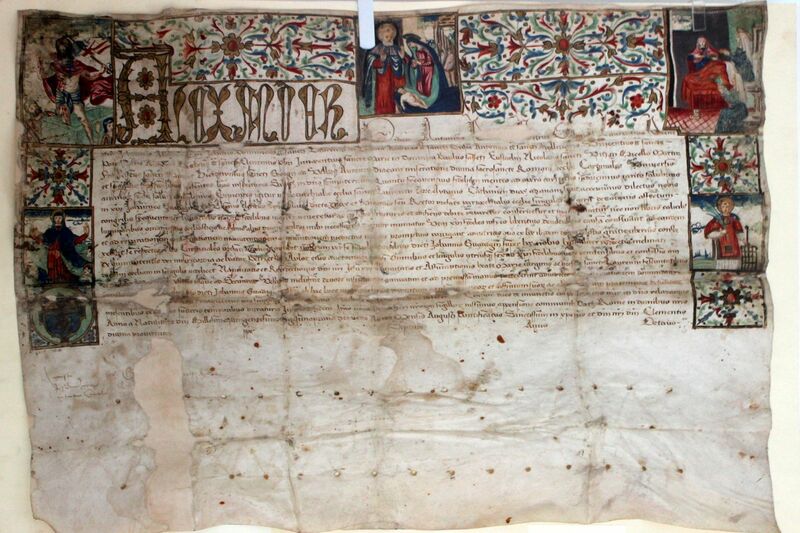 Despite its old roots, the first historical document mentioning the castle is from the 14th century. It states that the King Frederick III awarded the castle to the Gioieni family. 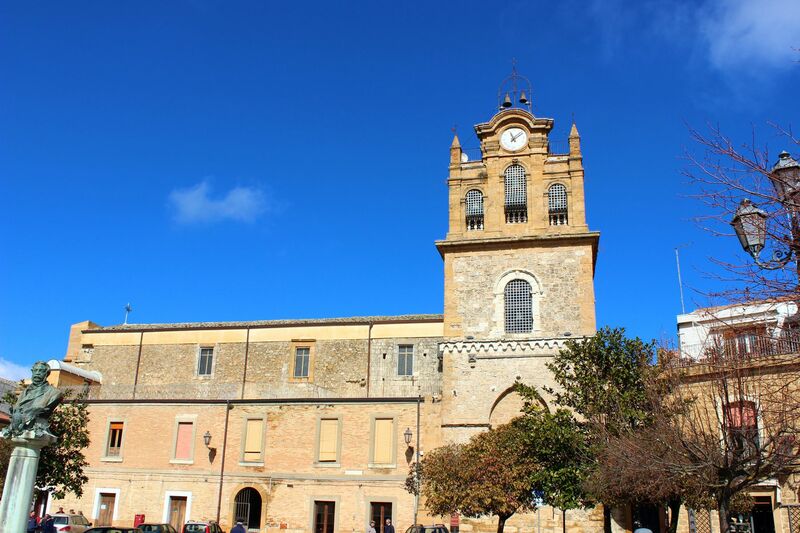 In 17th century the castle passed to the family of Graffeo and then to the Baron Ignazio Lalumia of Licata. Note: At the present time the castle is a dangerous place to visit due to its poor condition and risk of collapsing.